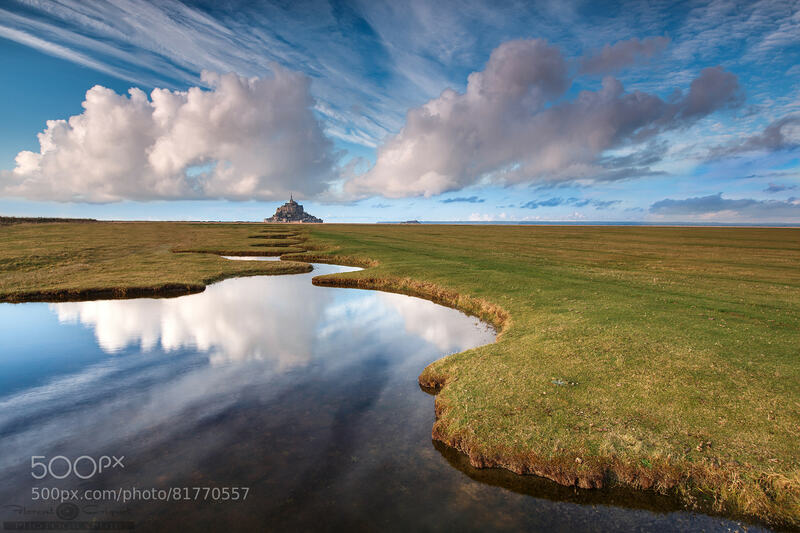 Beyond its basic technical prowess, “Mont Saint Michel” succeeds for one major reason: Criquet composed the frame to make expert use of naturally-occurring leading lines throughout the landscape. The winding stream and shoreline lead the viewer’s eye directly to the monastery, supplemented by the angled stratus clouds in both the sky and the stream and the lines in the grass. The result is a thoroughly compelling image of Mont Saint Michel, the likes of which we haven’t seen. Criquet created the image last January with his Canon 5D EOS Mark III and 16-35mm f/2.8L II USM ultra-wide angle lens set at 21mm, 1/3, f/9, and ISO 50.